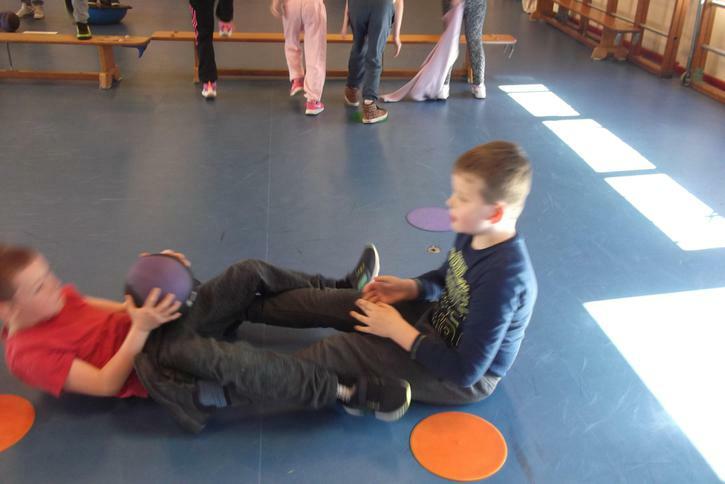 P.E days are Mondays and Fridays. 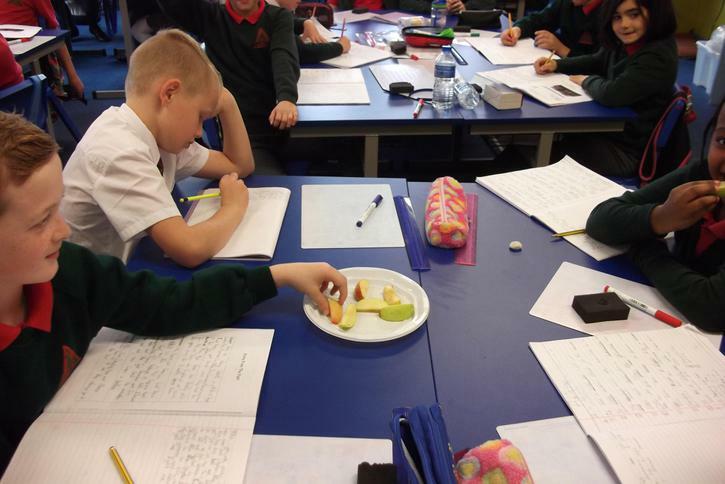 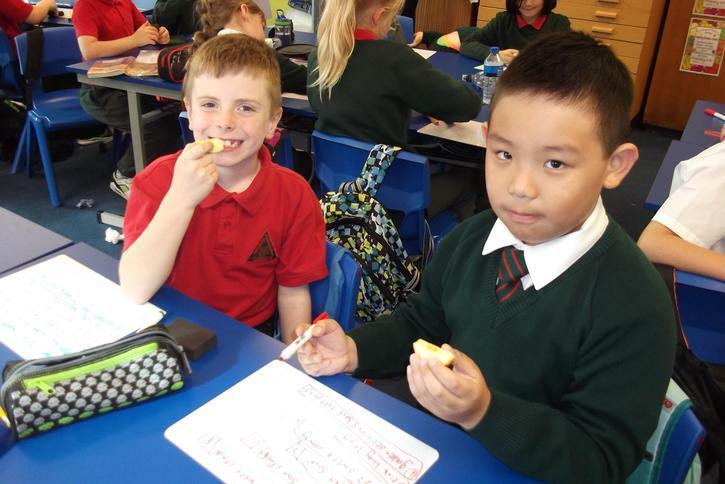 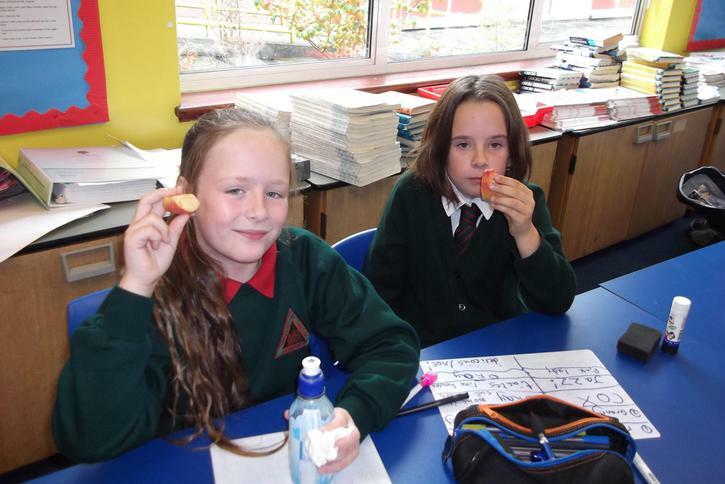 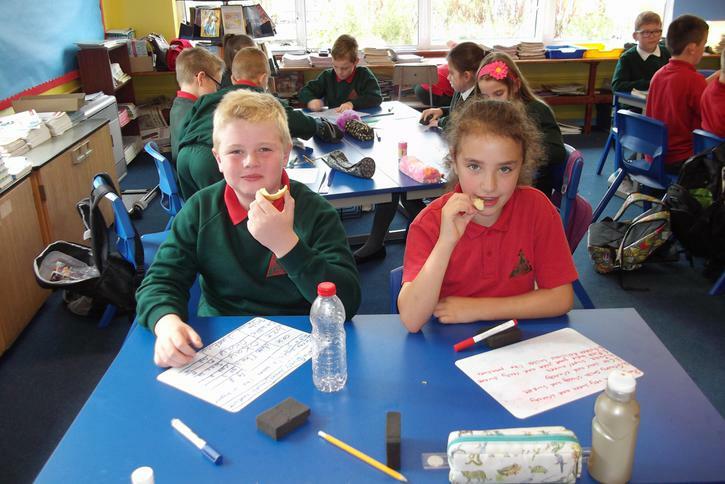 Primary 5 enjoyed tasting different types of apples today, as part of their World Around Us topic. 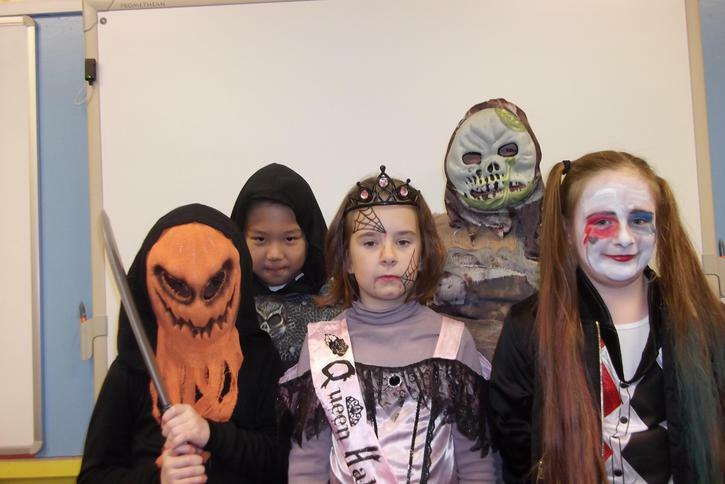 Royal Gala was the most popular type with 8 votes, while Granny Smith was least popular with only 1 vote. 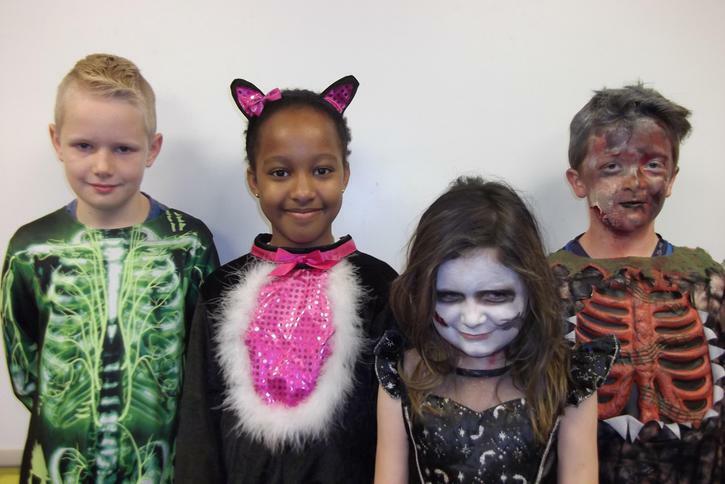 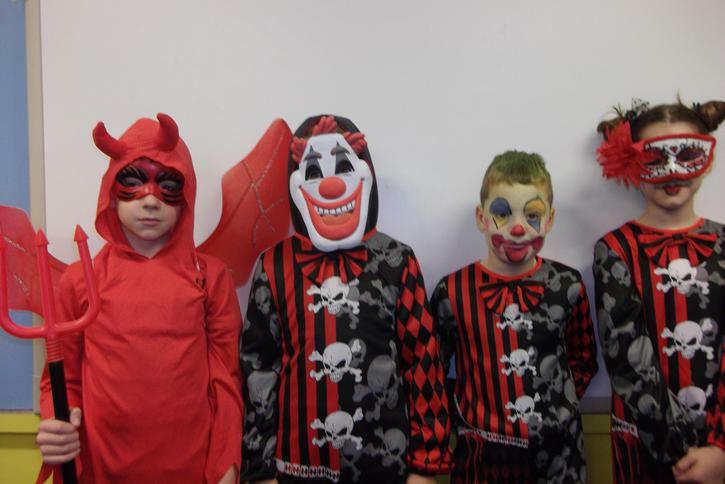 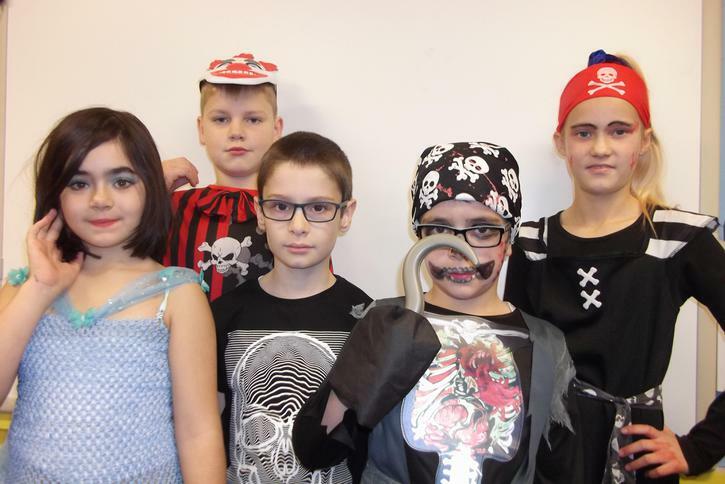 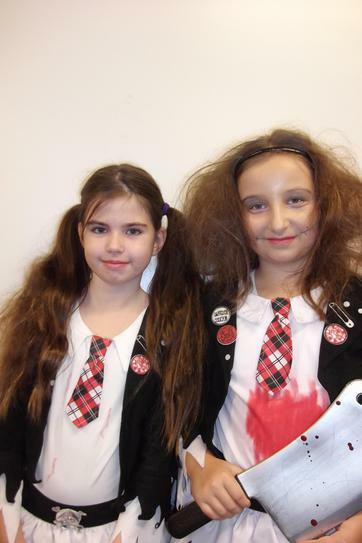 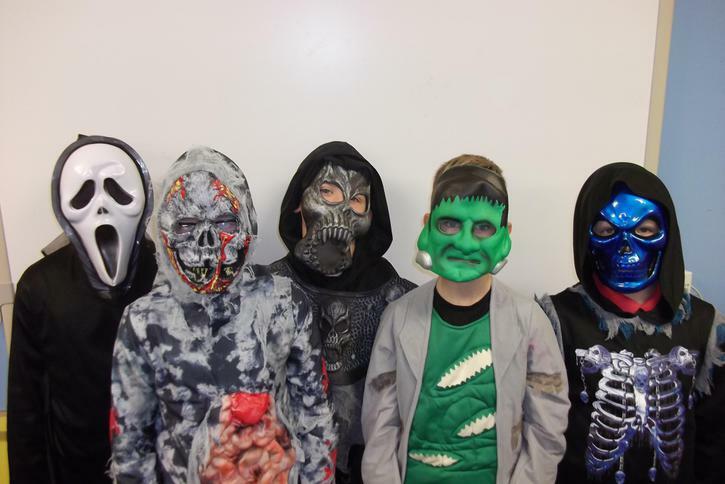 Today we dressed up for Halloween to raise money for Southern Area Hospice. 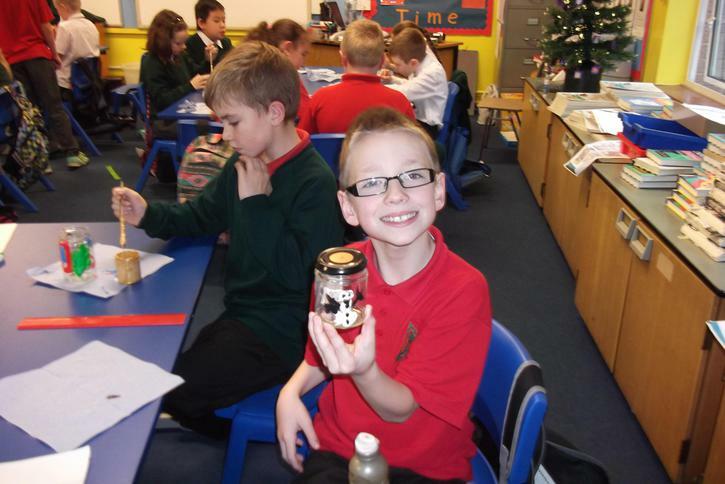 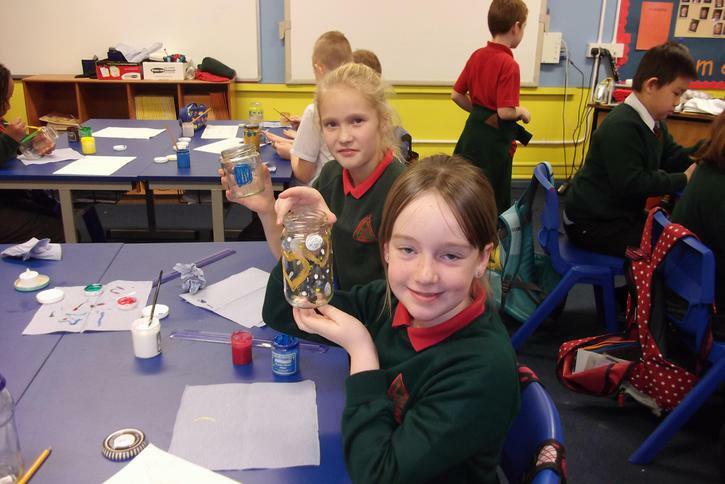 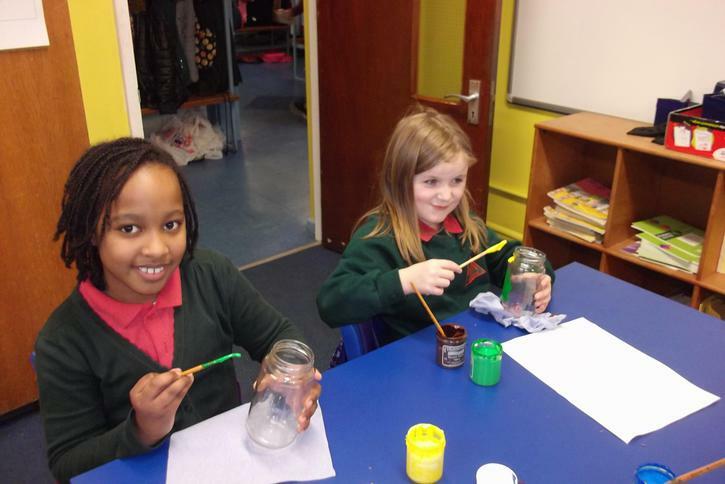 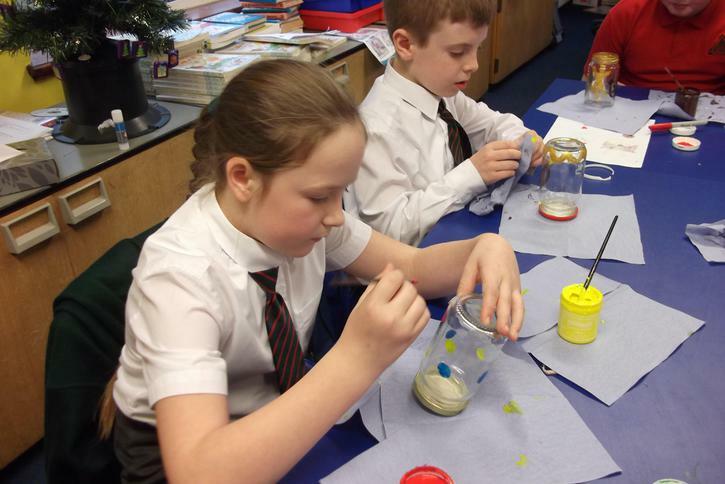 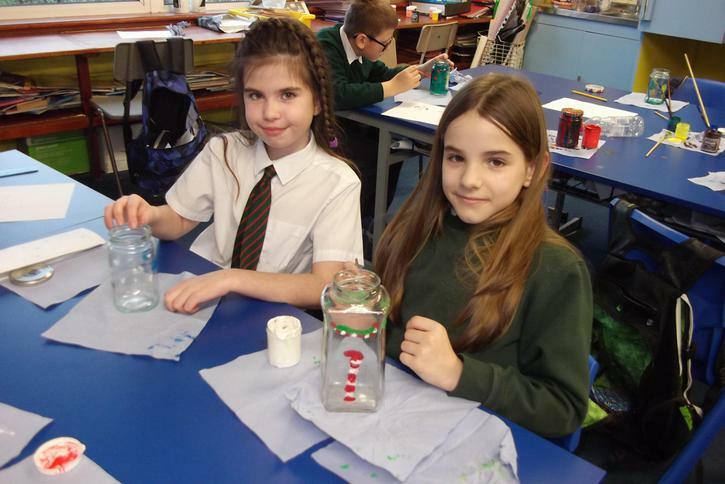 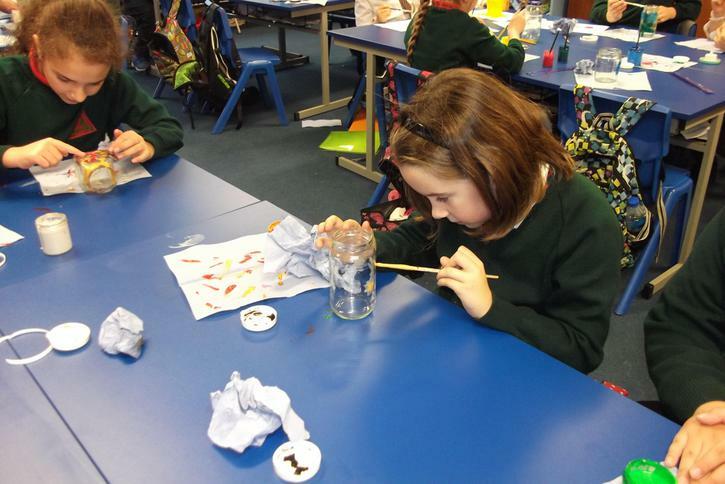 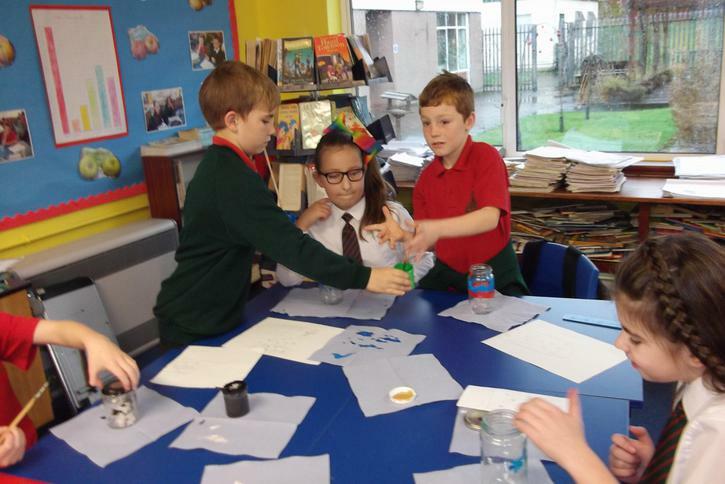 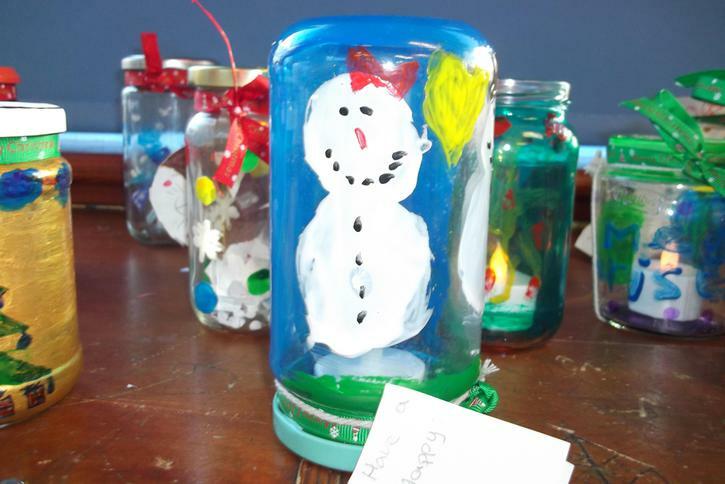 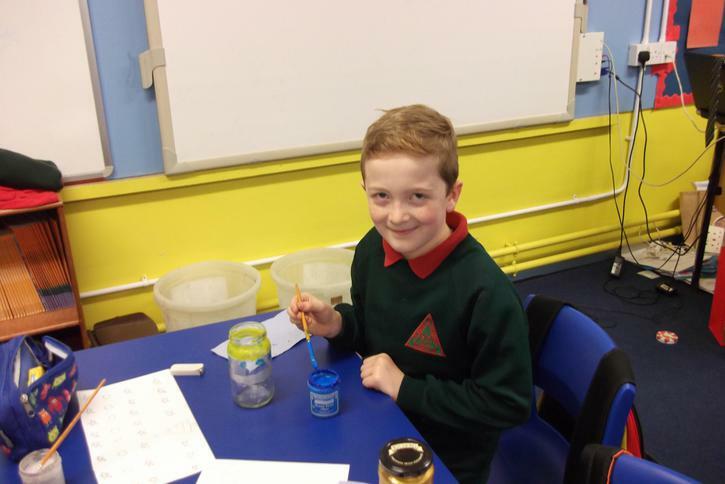 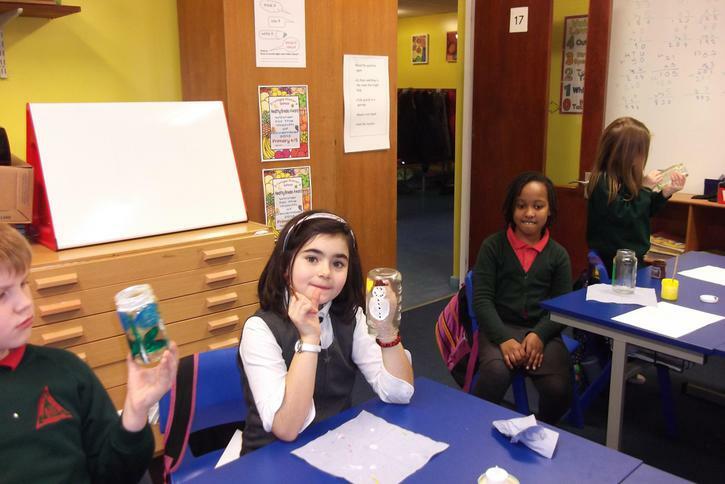 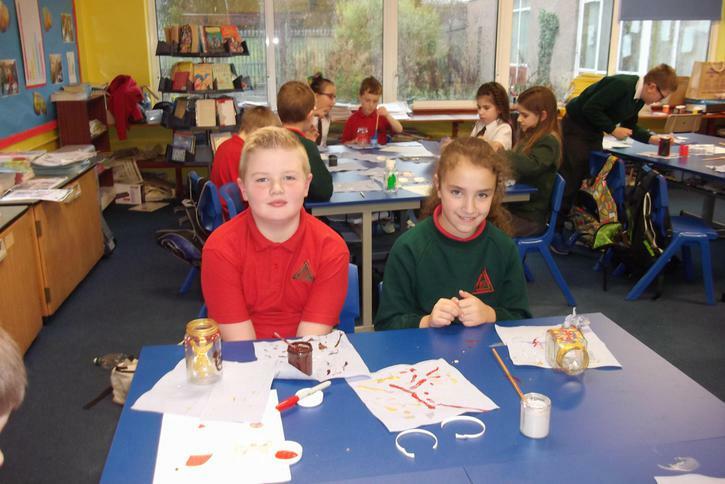 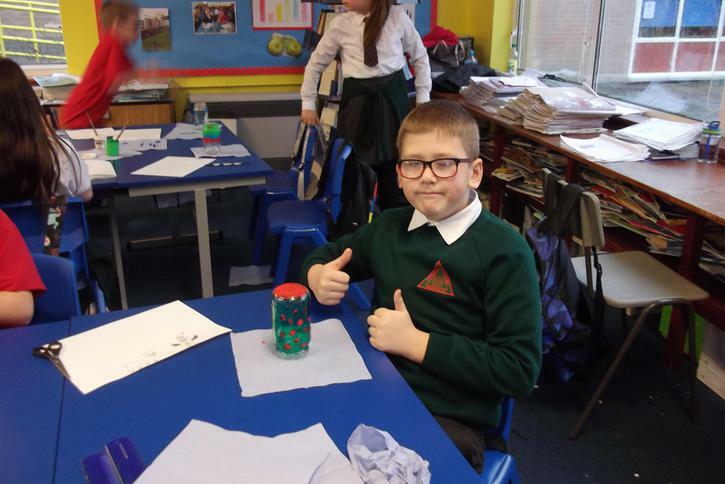 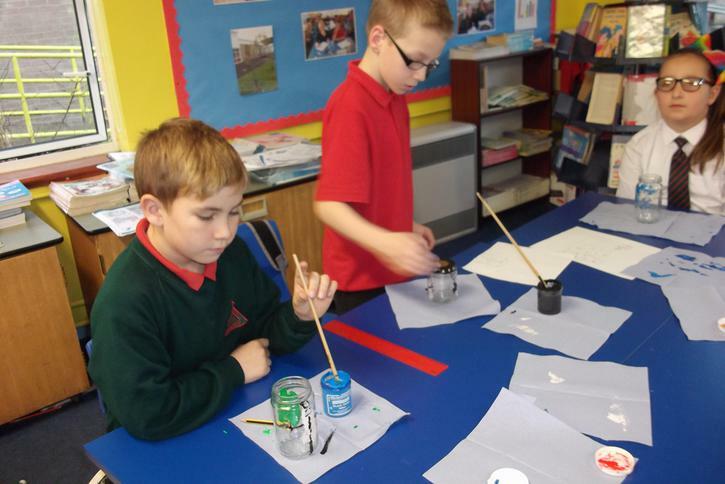 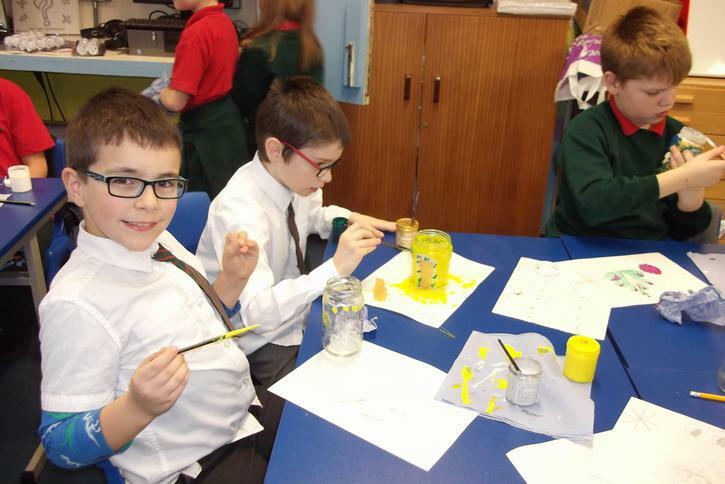 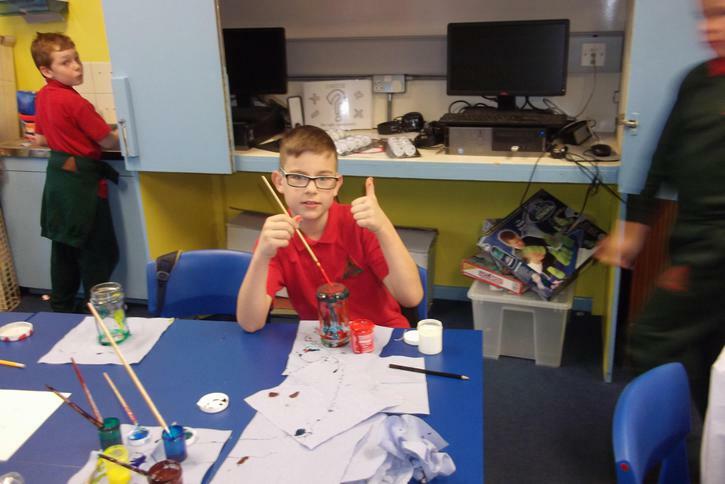 We enjoyed painting and decorating glass jars today. 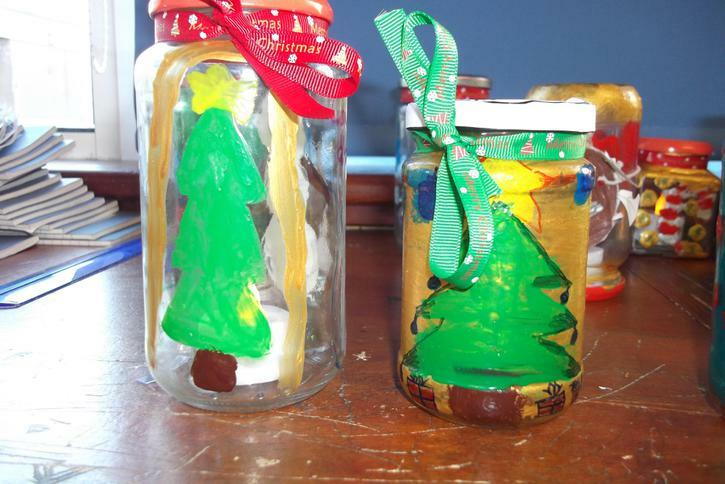 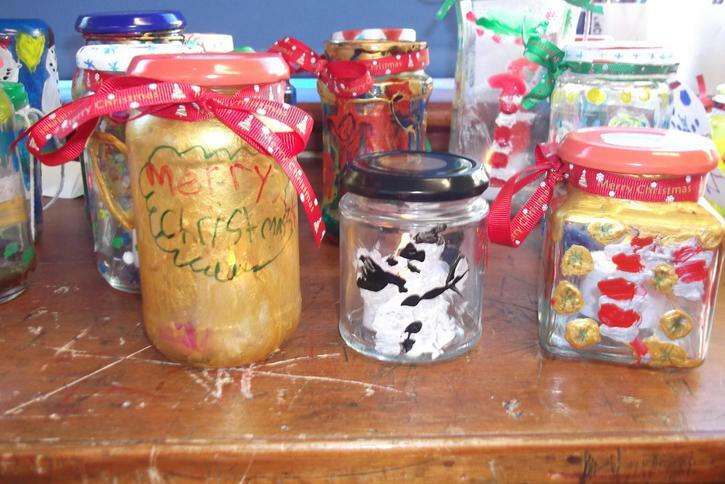 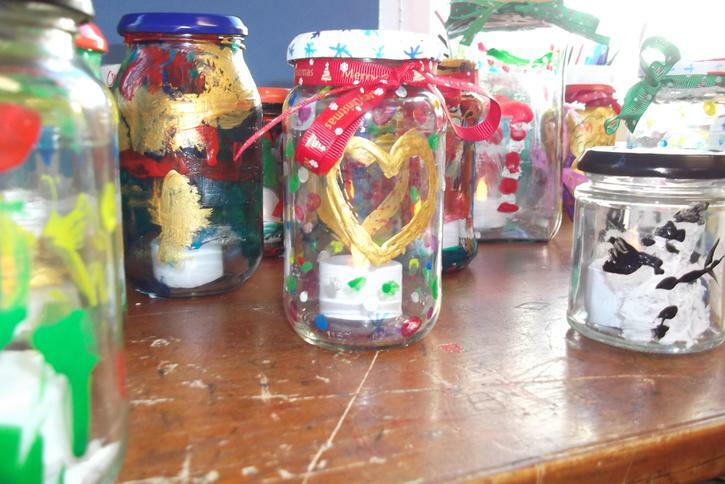 Some of the finished jars, which will be on sale at our Craft Fair on Friday 16th December. 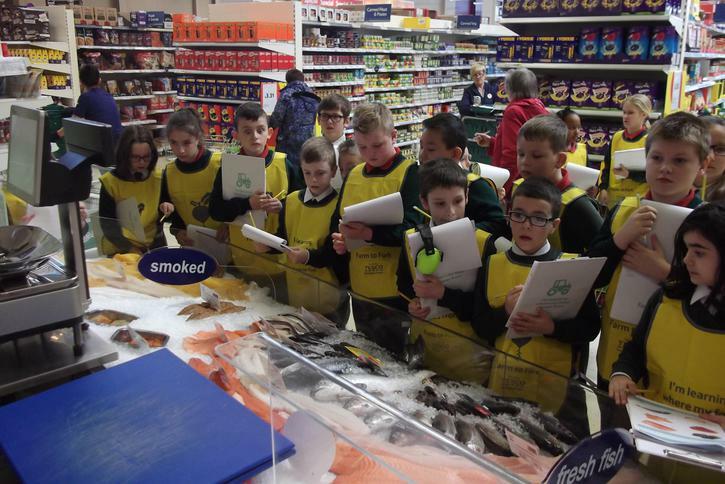 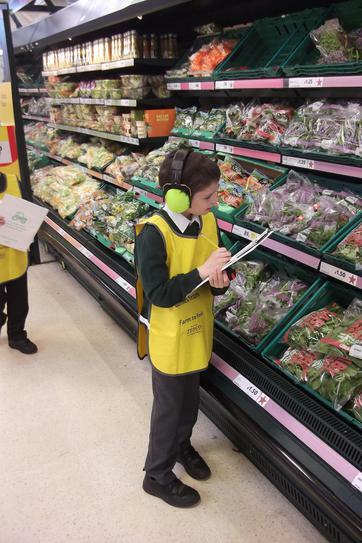 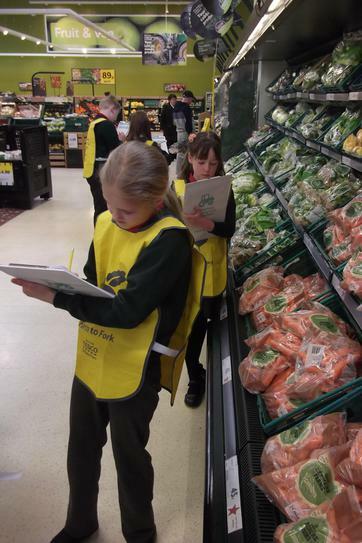 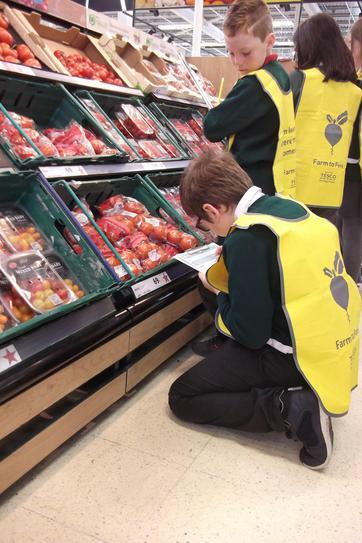 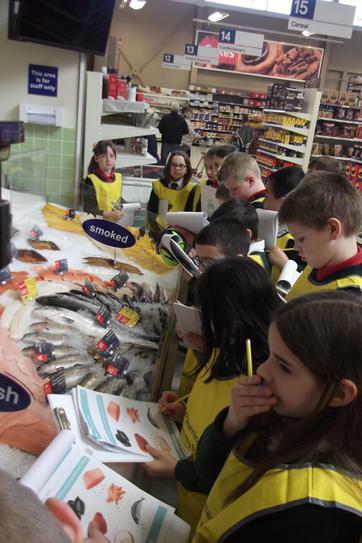 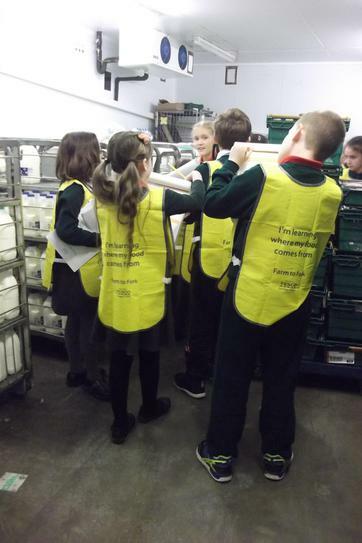 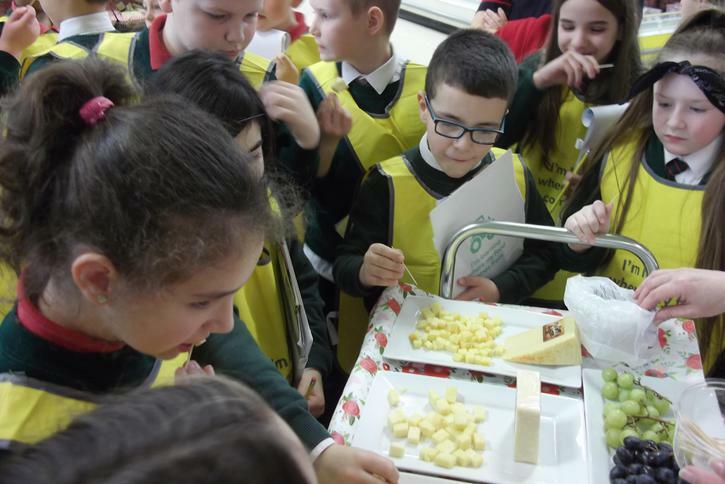 We enjoyed our class trip to Tesco to learn about where our food comes from. 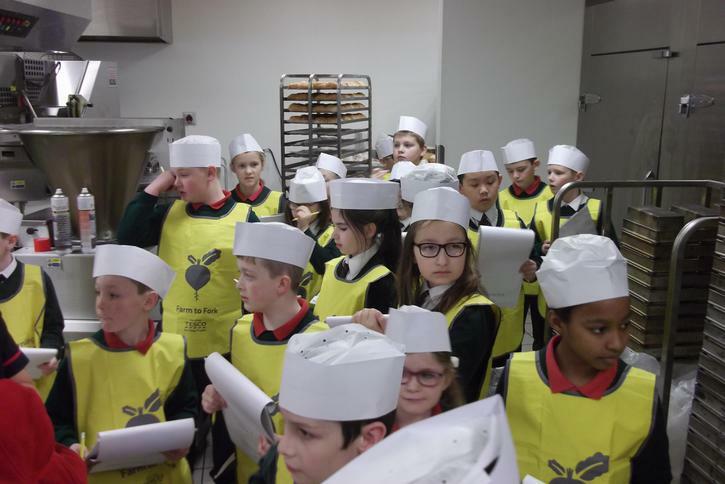 We got to see where the food is stored after it's delivered and how the fresh bread is baked. 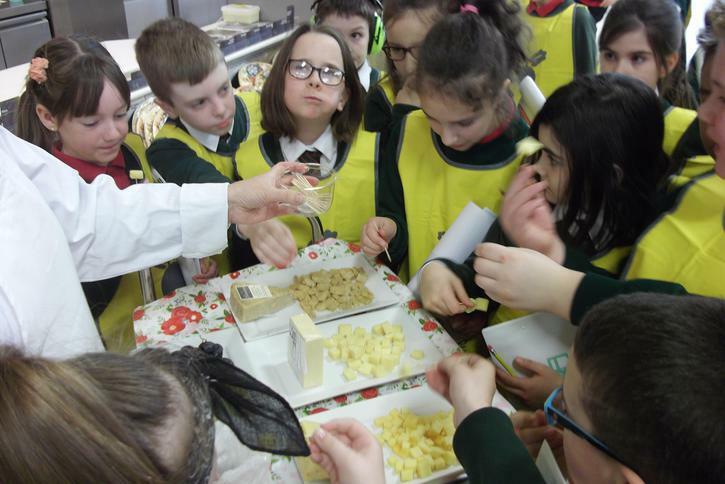 We also got to taste different types of cheeses. 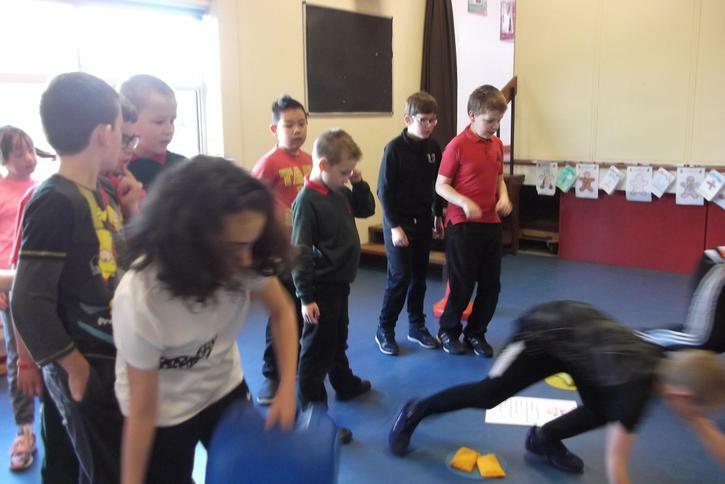 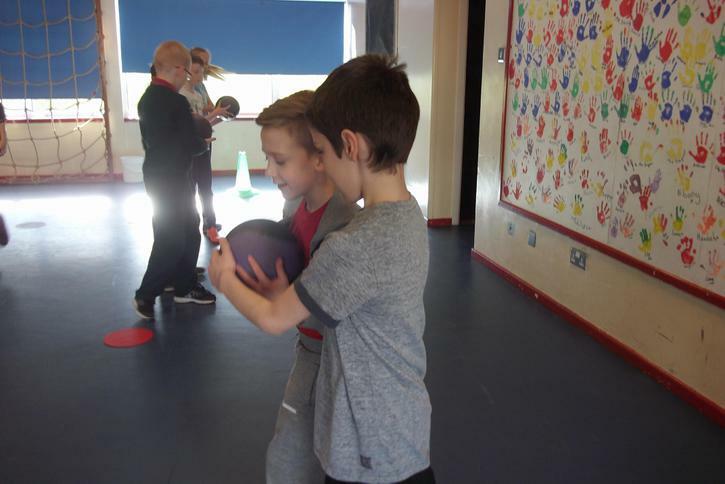 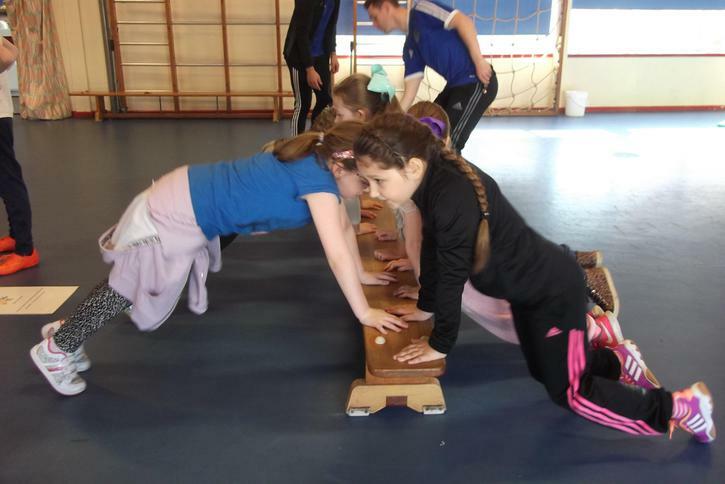 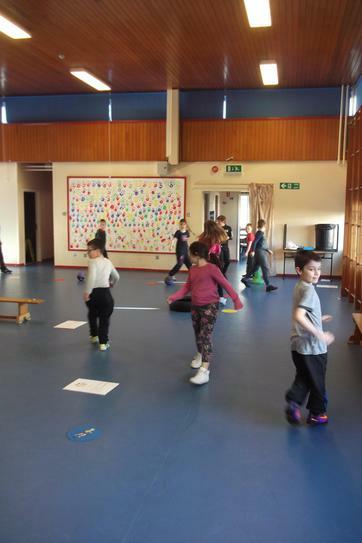 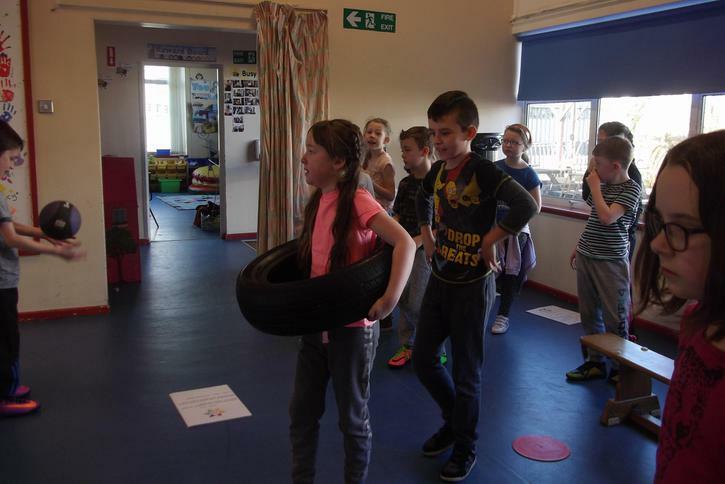 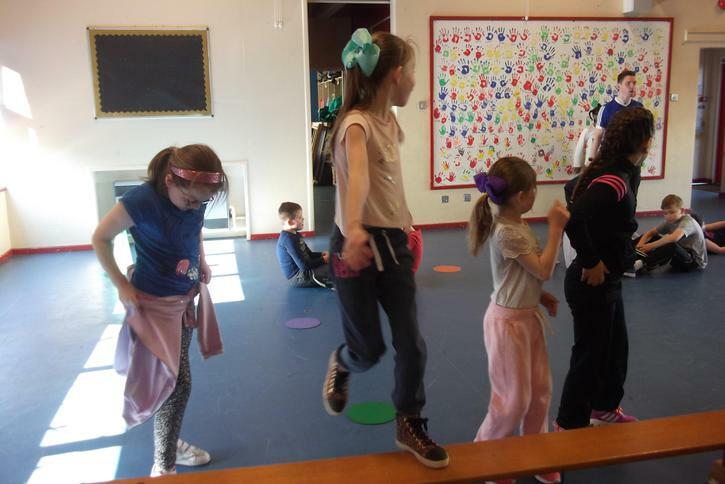 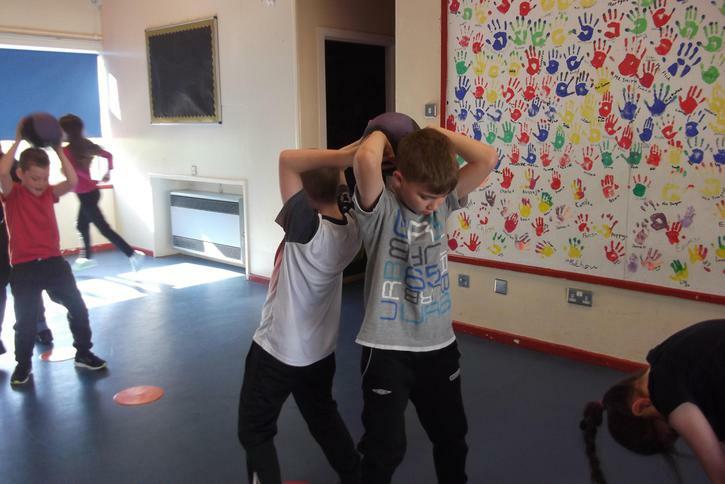 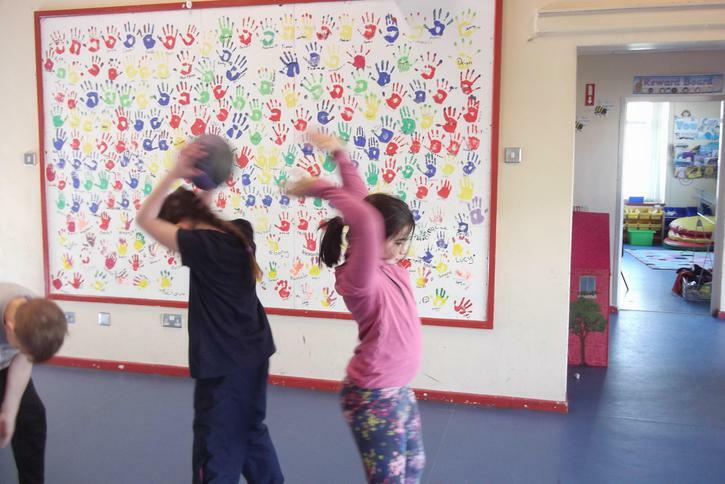 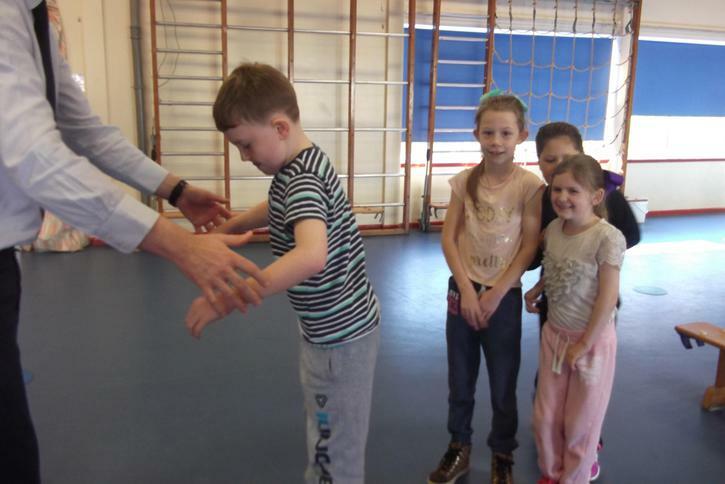 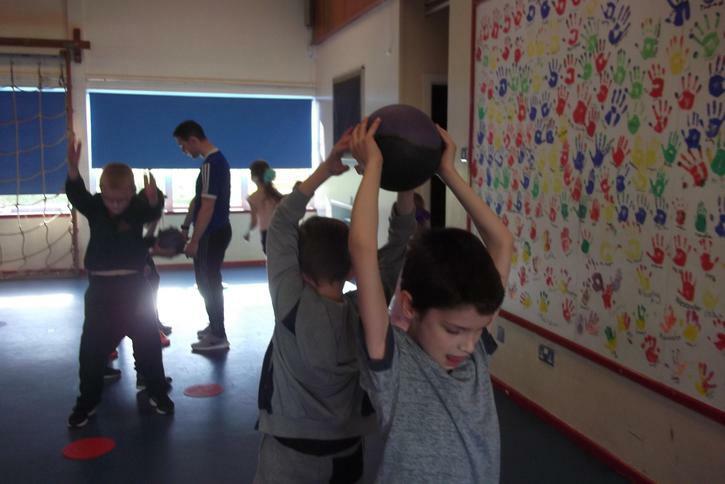 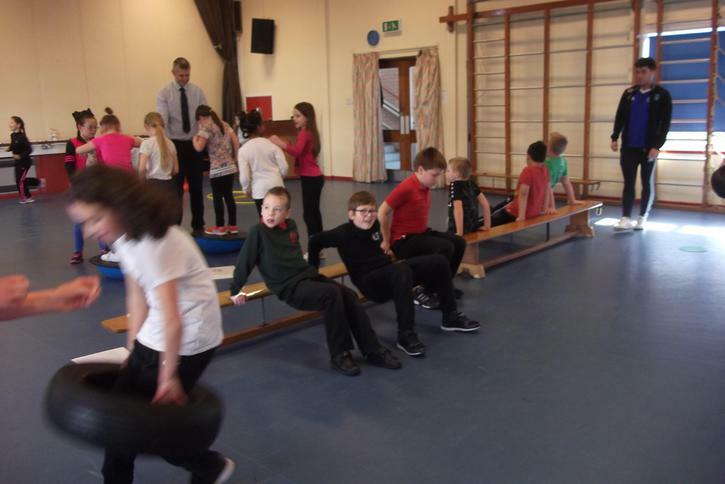 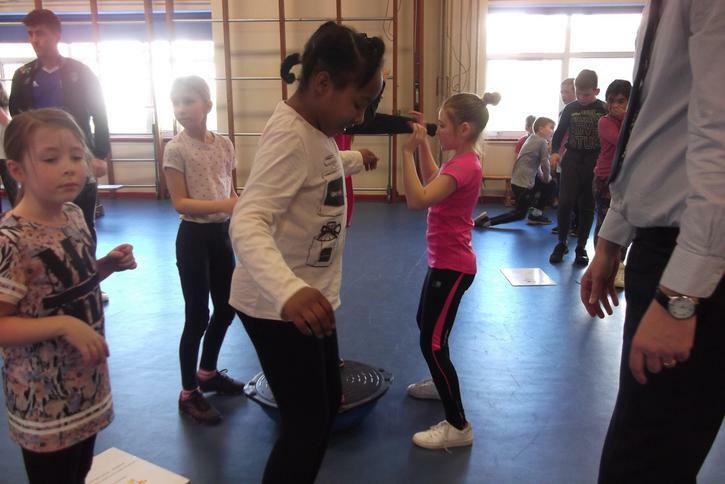 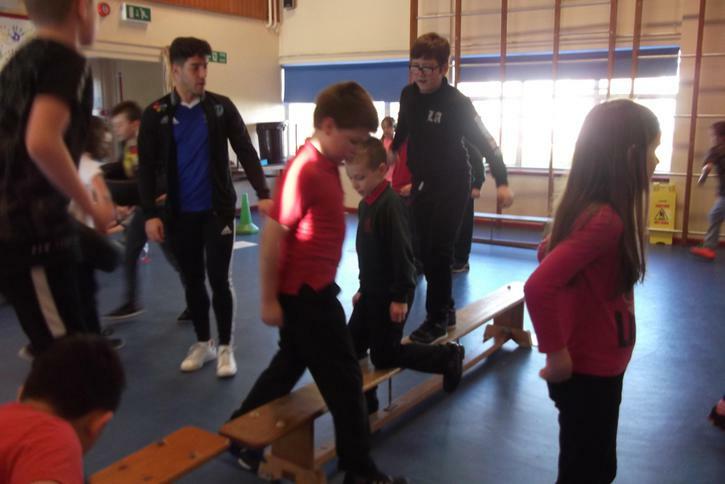 Today we took part in 'Buddy's Big Workout' to raise money for the N.S.P.C.C.